Demand that Accidental Disability Pension protection be recognized and awarded when a staff member (full-time/part-time) is traumatically injured while working with students either before, during, or after contracted school hours. Also, any and all school sanctioned events must be included in the TPAF’s definition of “regular or assigned duties”. According to the TPAF, if you are currently “volunteering” i.e. before and after school help with students, chaperoning dances, being directed to attend an after school conference, coming in early to finish paperwork in the office, staying late to help rearrange desks or to prep food for the following day, cleaning your bus after hours etc. and you incur an injury while performing these duties, either on school property or not, while representing your school and promoting a positive school culture, your hard earned pension money is NOT protected, even if DIRECTED to do so! May I introduce Jeanette McGuinness, a retired mathematics teacher from Clearview Regional High School in Gloucester County who was forced to retire after teaching for nearly twenty years. In 2014, she was DIRECTED to attend a fundraiser for her math department, that of which ALL of the members of her department, (including her supervisor), attended, to raise funds for two scholarships awarded to seniors pursuing careers in mathematics. Unfortunately, Jeanette sustained a traumatic head injury while working this event and is now unable to work due to her injuries. She is now fighting for the NJEA to not only fund her appeal to the supreme court after spending almost four years on Workmen’s Compensation, preparing for and attending two court cases, one of which she won workmen’s compensation for (notice the word “work”), and the other a denial from the Pensions Board for an accidental disability retirement, stating that she was NOT WORKING while she incurred this injury - she is asking for YOUR support as a UNION MEMBER (or non-union member as you will read below) to not only fund her appeal to the Supreme Court, but by extension, to agree to stop ALL “VOLUNTEERING” until this case is won! If Jeanette McGuinness loses, WE ALL LOSE! According to her most recent TPAF decision, only those members who are considered to be performing their “regular or assigned duties”, will be considered and therefore possibly eligible to receive what the TPAF refers to as Accidental Disability Pension. Although the CRHS administration and the entity of Workmen’s Compensation concurred that Jeanette McGuinness was, in fact, WORKING, she’s been DENIED an Accidental Disability Pension and instead of receiving an Accidental Disability Retirement compensation level close to 72% of her salary at the time of her injury, she was “awarded” an alarmingly low rate of 43.6% of her salary based on her salary at the time of her accident, for the remainder of her life. Jeanette was 42 years old! (Please note there is a slight change in the percentage from the original petition, however both are significantly lower than the 72% that Union Members should be awarded when injured, not to mention the years of bullying and harassment the entity known ad Workmen’s Compensation along with chronic pain, confusion, loss of identity, accruing debt, etc. you must endure during this arduous process of others making decisions about YOUR future because you did the right thing and went to work for the good of your school and students. By signing this petition below, you are demanding that the NJEA file and fund an appeal for Jeanette McGuinness to continue her fight for ALL of us at the New Jersey State Supreme Court level. Let the TPAF know that by not RESPECTFULLY recognizing, acknowledging and protecting all the extra time and efforts we have graciously given to our schools and school culture, we will NO longer put our careers and pensions at risk by helping with/for anything considered not within the scope of our “regular or assigned duties”. If the NJEA does NOT fund the appeal, we agree as a union to NO LONGER make ourselves available to assist our districts with any activity not protected under the statutes of Jeanette’s current decision. Our humble thanks to you. 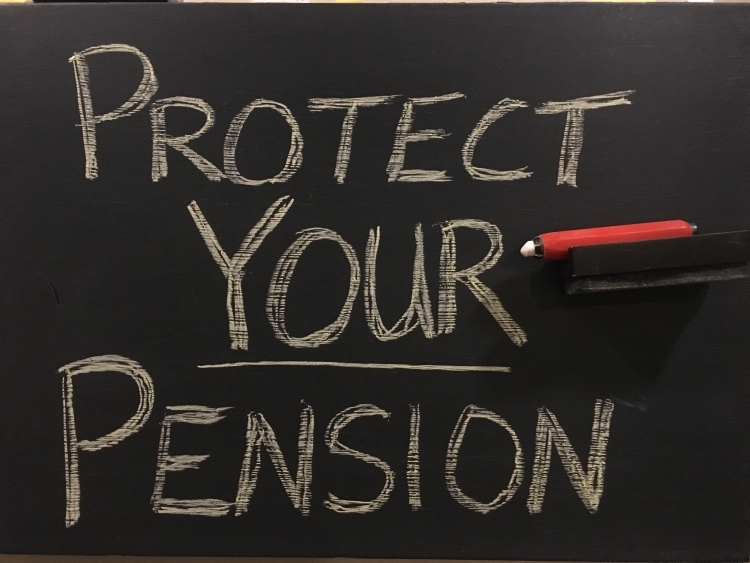 The Demand Pension Protection petition to New Jersey Education Association was written by Jeanette McGuinness and is in the category Education at GoPetition.